As adulteration in milk has reached unimaginable proportions, all is not lost as there are conscientious entrepreneurs who are turning to organic milk that is both healthy and safe. For the uninitiated, organic milk means is nothing but pure and untouched milk to which nothing is added and nothing is removed. What makes organic milk different from regular milk is that the cows are fed on home-grown fodder diets made up of food like Maize, Ragi, Jowar, Cowpeas, Beans, Moringa, and Azolla. While growing fodder, no pesticides, genetically modified organism (GMO) or synthetic fertilizers are used in growing these crops. Also, the cows are not tethered and no hormones or antibiotics are used to boost production and cow care is given utmost importance. Research by Government organizations itself has established that two of every three Indians drink adulterated milk today. Most of the milk and milk products sold in India do not meet the standards set by the Food Safety and Standard Authority of India (FSSAI). A lot of synthetic substitutes are added like sodas and unhealthy powders are being added to milk which takes away the goodness of milk and increases levels of bad bacteria and harmful substances. “Adulterated milk goes to the extent of causing cancer apart from problems that it causes to stomach, bones etc. The whole idea of giving contaminated milk to the family needs no kind of valid reason. However, dairy is so important in every Indian household both urban and rural as it is the base of curd, paneer, ghee and is consumed daily. Hence, it is so important to ensure that milk is organic,” avers Mehal Kejriwal, Co- Founder, Happy Milk. Shashi Kumar, Chief Executive Officer and Co-Founder, Akshayakalpa explains, “there are two major milk proteins whey and casein. Casein contributes to 80% of protein in cow’s milk and β casein is a subtype of casein. Because of years of genetic mutations there are about 12 different variations of β casein that exist today. Of those 12, three are well known and researched which are called β casein A1, β casein A2, and β casein B.” So if you hear terms like A1 or A2 milk, it is in reference to the type of β casein it contains A1 or A2.” Likewise, when it comes to choosing between Jersey and Desi there is no proven scientific data stamping one is better than the other. “Jersey cow milk has been consumed by humans since centuries all over the world. It is absolutely safe to consume and is very easily acceptable by human body. All one needs to ensure is that the milk being consumed is farm fresh and organic, no matter where it comes from,” avers Kejriwal. Today with several brands using the word organic, healthy and fresh interchangeably, there is a lot of confusion as to how to choose right. However you can make the right choice by a few simple steps. For one, check if the brand has an Organic certificate by a valid government agency. Secondly check for the source of the milk. If the milk is purchased/collected from different farms it clearly shows an open ended loop as the milk can easily be tampered with. 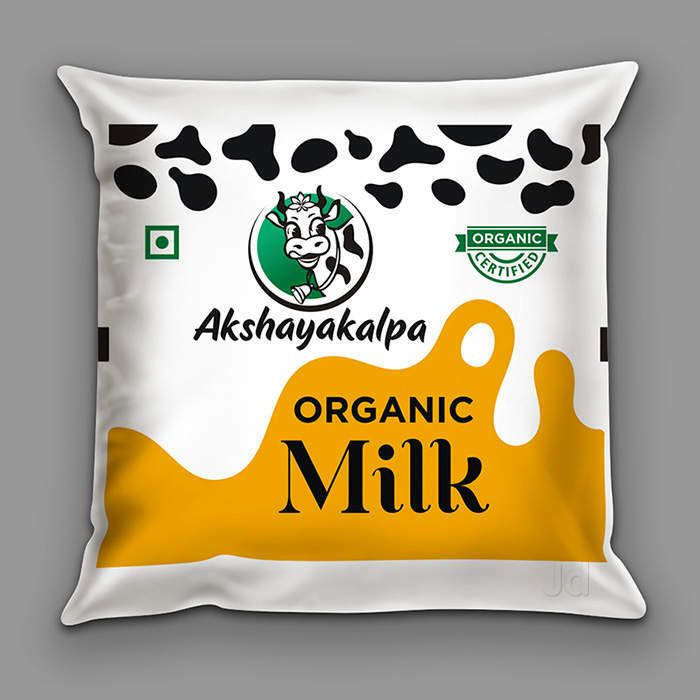 Akshayakalpa is certified as per the NPOP (National Programme for Organic Production) and Canadian organic standards. “Milk’s quality is bound to be poor because each farm treats its cows differently, feeds different food, uses human hands for milking and the like. Also, high quality machines should be used end to end to ensure that right from milking to bottling, every aspect is untouched by humans,” says Kejriwal. You can avail milk testing kits at medical shops to test the genuineness of the milk. 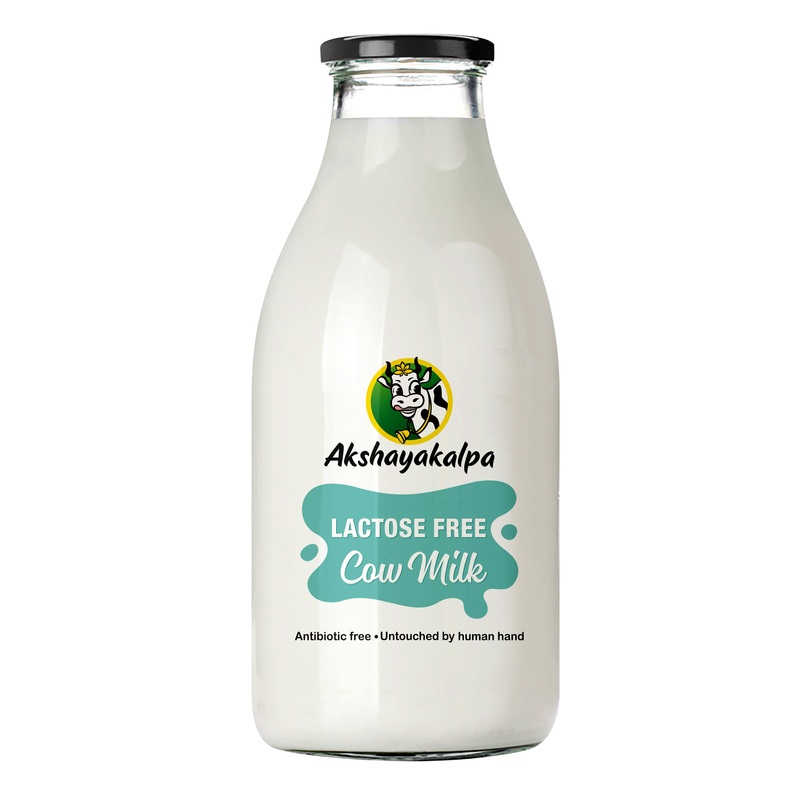 An oft-ignored concept behind organic foods is the role of the role of innovative technology, farmers and the animals that are part of the farming system.” At least in the case of Akshayakalpa, we make it a point that our consumers really understand the story behind the cup of milk they drink. For example, we have 160 farms and automation at farm level ensures quality milk production. At the farm itself, the milk is chilled to 4°C and it is untouched by human hand from the cow to your doorstep. The state of the art milking systems milk up to 25 cows within 1.5 hours. The system is also equipped with sensors to record the body temperature of cow, the quality of milk and potential infections,” says Kumar. Indians are going all out switching from regular to organic milk and the change is one for the better. After all health comes first and you are entitled to drink pure milk – one of the most favoured drinks of the country! Previous Previous post: How to Shop Right?